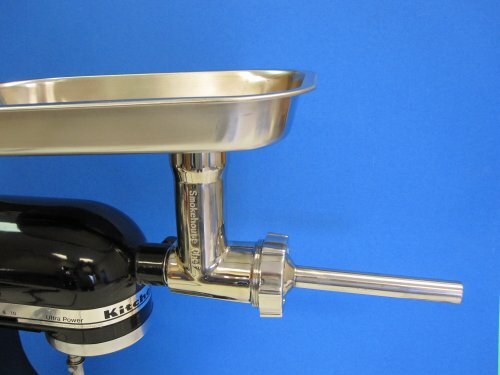 Original Meat Grinder attachment in Stainless Steel for Kitchenaid mixer was listed on Amazon for $179.00, selling for $164.00 USD brand new. Manufactured by Smokehouse Chef®. There are 1 units left brand new. High Quality polished stainless steel. PLUS stuffing tube.